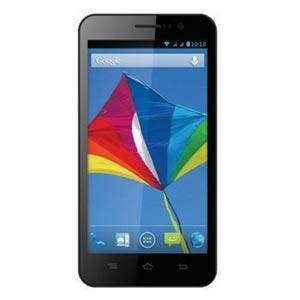 Videocon A54Q is available from tradus.com at unknown price. The new Videocon A54Q comes with some top specifications and features. It is a dual SIM phone and is accomplished with 5 inch capacitive touch screen display having qHD resolution. It would compete with Karbonn Titanium S1 Plus and Videocon A29, both comes with 1GB RAM , 4-core CPU and are priced under 8K. The Videocon A-54Q gains the strength from 1.3GHz quad core CPU coupled with 1GB of RAM. The A54-Q is a dual SIM smartphone with 3G connectivity. It comes with 8-megapixel primary shooter and a 1.3MP front camera. To make the handset alive there is 2000 mAh battery and Android 4.2 OS. Company has not announced the handset yet, although it should be under Rs 11,000. It comes win Black color.